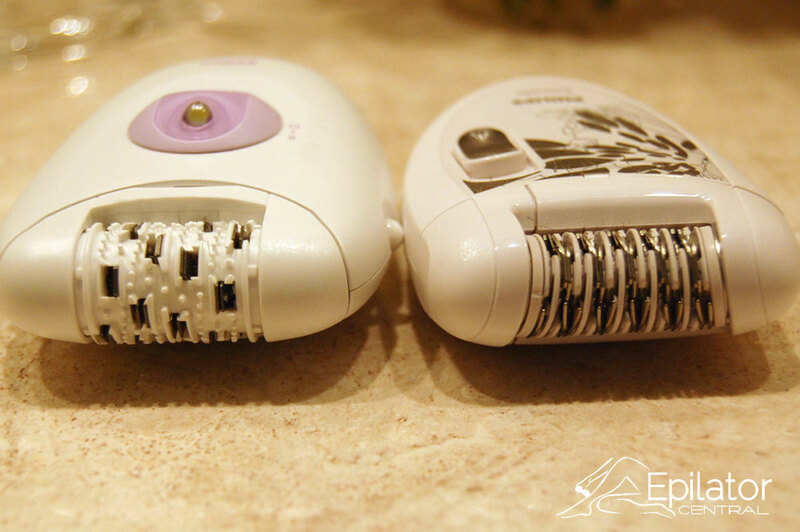 You don’t have to pay more for an epilator than you need to, depending on your needs. 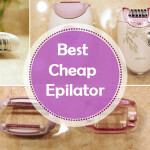 Even if you opt for a cheaper epilator, you want to make the most of your investment. 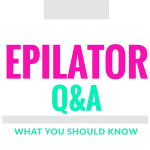 After testing and reviewing epilators, and selecting the best epilator, we know that getting the most value out of your epilator has little to do with price. 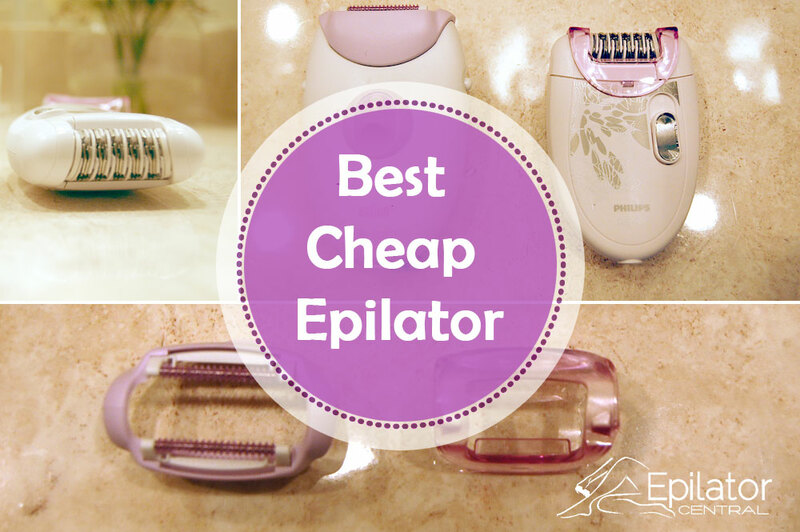 We asked one of our testers to check out all of the cheap epilators and find the one that offered the most value. We defined cheap to be close to 50 dollars. At that price range, we knew we couldn’t find all the bells and whistles found on more expensive models. Still, we wanted something that would work well for basic epilation primarily on the legs. 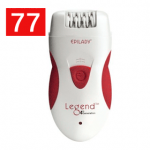 A cheap epilator can be a good way to get started with epilation before moving on to the pricier models. 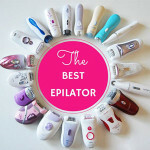 What is the best cheap epilator? 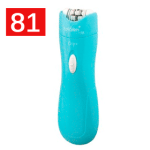 We looked at the Philips HP6401 Satinelle Epilator, Braun Silk 3, Emjoi Epi Slim, Emjoi Soft Caress, Emjoi eRase e60, Remington Ep7030, Epilady Ep-810-44, Remington Ep7010, iVog XTweez, iVOg Prox-tweez, Emjoi AP-9PB, Eyola Rechargeable Epilator, Emjoi AP-17SE Divine, Surker Lady Epilator, and Emjoi Divine. 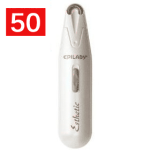 You can find off-brand epilators from Toogoo, Sodial, and Finejo for around 5 dollars. These epilators aren’t really suitable for removing hair from large areas on the body. You don’t need all the fancy features of more expensive models. 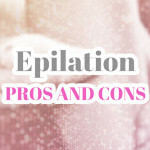 Most epilators work exactly the same way with tweezers that rotate around. One of the most important features you want to look for is the number of tweezers. Now you don’t need 72 tweezers but you need at least 20 tweezers if you are going to be removing hair from larger areas of your body. 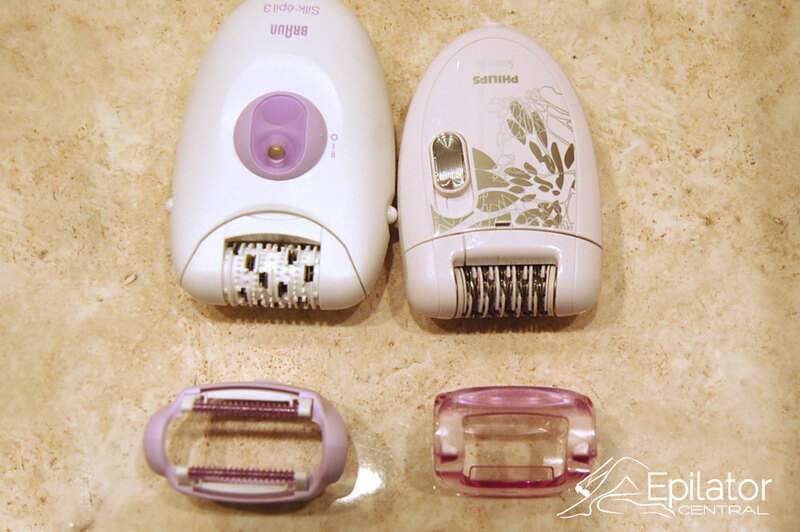 If you haven’t used an epilator before, they are sort of different from razors. You are not cutting the hair. Instead, you are pulling it out at the root. 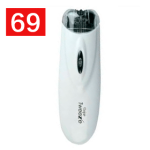 You don’t want to quickly move the epilator across the skin like a blade. 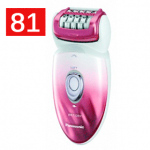 You have to work them slowly over your skin as the epilator gradually picks up the hair. You have to pull your skin tight and make sure the epilator makes slight contact with the skin without pressing down hard. This is especially true for inexpensive models which have smaller surface areas and don’t get as close to the skin as more expensive models. The cheaper models do have a tendency to leave more hair behind so you do have to make more passes. 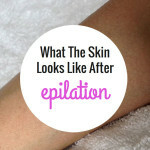 A few days after epilation always exfoliate your skin to prevent dead skin from causing ingrown hairs. 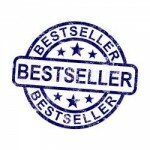 Although this a cheaper model, the Philips Satinelle performed well compared to our highest rated model. While it can be used to epilate the underarms and for pubic hair, this model performed best on the legs. The cap can get in the way. However, once you get used to it, it performs fairly well. We did find that it performed better without the cap. 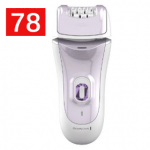 The Philips Satinelle is a corded epilator, which means you do need to be near an outlet to use it. Unlike the new wet and dry models, this model can’t be used under water. If you are sensitive to pain, you might consider picking up a wet and dry model instead. While the cord can get in the way, the unit never loses power. 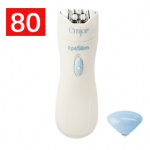 There are no gimmicks and the epilator is super easy to operate without any explanation. It features 2 speed setting and a removable head. It can be a little bit difficult to remove shorter hair as it is a little more effective when hairs are a bit longer. It takes about 45 minutes to do both legs. Braun’s entry level Silk Epil, the Braun Silk 3-3170, features 20 tweezers. 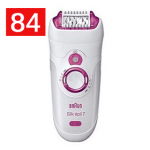 Unlike the more expensive models in the line, the Braun Silk 3 has a narrower epilation area, which means that it will take longer to epilate large areas. The tweezers don’t get as close to the skin as the pricey epilators from Braun. 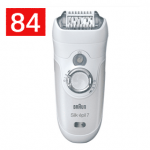 Like the Philips epilator, the Braun Silk 3 is a corded epilator. 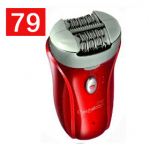 One additional feature you get with this model over the Philips is the smart light which is helpful for picking up any stray hairs. It features 2 speed settings and massage rollers. Performance wise it is very comparable to the Philips Satinelle. It takes about 45 minutes to an hour to do both legs. When I first tried out the Braun Silk 3 and Philips Satinelle, I was a bit disappointed. It is very easy to miss shorter hair with them. Most people are going to use these epilators with the included cap so that they can keep the epilator at the appropriate angle with the skin. With the included caps, I thought that the Philips Satinelle far exceeded the Braun Silk 3. It was not even close. 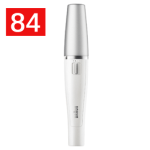 The massaging cap on the Braun Silk 3 is extremely bulky and makes it difficult to pick up short and fine hairs and even maneuver on the skin. The cap is completely flat on the top and doesn’t pivot which means it is very difficult to remove hair on curvier areas. The Braun Silk 3 is slightly less painful than the Satinelle because of the massaging cap, but I found the cap just got in the way most of the time. It is just too bulky. You might want to start with the cap and once you get familiar with how the epilator works remove it . Otherwise, it can take forever to epilate with this model. 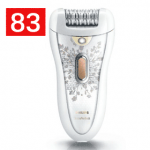 The Braun Silk 3 doesn’t remove finer hairs as well as the Satinelle and takes considerably more passes. The reason it is not as painful is because it is not plucking as much hair out at a time. With the cap in place, you will spend just about an hour to do both legs and you won’t be as smooth as you would like to be. 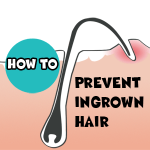 You will get a better result if you wait for the hair to grow out a bit longer. I thought the same thing of the Philips Satinelle’s cap but too a much lesser degree. At least that cap has a slight curve and is nowhere as bulky. 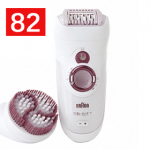 The truth of the matter is if you are going to be using it with the cap, with the Braun Silk Epil 3 you are going to have to make endless passes over the same area to get a satisfactory result. I had to make several passes over the same area before it would pick up some of the hair. Hands down with the caps in place, the Philips Satinelle is the better buy. I also tried both models without the caps in place. Here is where things get interesting. I found that with both models I was able to remove very short and fine hair closer to the skin. In fact, in our performance test they performed nearly identically. I thought again the Philips Satinelle performed a smudge better on finer hair. However, the one feature I missed on the Satinelle was the Smart Light, which proved to be extremely useful on the Braun. I found with the Braun I was able to pick up fine hair that I just could not see with the Philips Satinelle. This advantage can be alleviated by standing in a well it room. Like most epilators, both these epilators are loud. The Philips Satinelle was a tad louder than the Braun SIlk Epil 3 at 78 decibels while the Braun measured around 76 decibels. Have you tried either the Philips Satinelle 6401 or Braun Silk 3170? What did you think? Leave a comment below. Hi Gabi, thanks for the comment. We haven’t reviewed the HP 6421, but it looks like that one has a sensitive area cap for the bikini line and underarms. The HP 6401 didn’t come with that attachment. While the Satinelle HP 6401 can work anywhere, it really works the best on the legs. 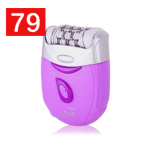 I am looking for an epilator which is both wet and dry, works for face, underarms and body. I have a budget of 5k. 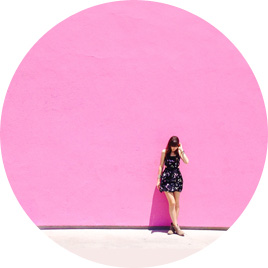 I have gone through many websites but not satisfied with them. 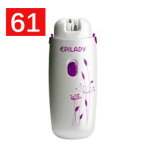 So kindly suggest me the best epilator.